Ramallah – Palestinian officials expressed their anger against comments recently made by the United Nations Secretary General Antonio Guterres in his interview with Israel radio in New York, on Jerusalem. 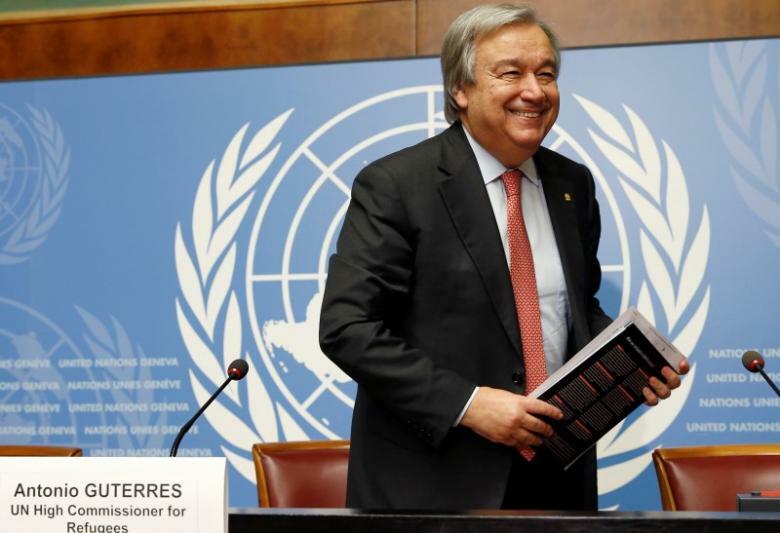 “It’s clear as the son is clear that the Temple, which was demolished by the Romans, is a Jewish temple,” Guterres said. Palestinian President Mahmoud Abbas’s Assistant Ahmed Majdalani said that remarks made by Guterres is a grave political transgression, and has negatively affected the credence of the U.N. and is clear that he is siding with the oppressive occupying settlements, rather than the people of Palestine. “The statement is a strike to the credibility of the U.N. as a global organization that should stay to the side of the occupied people and be against the power of the occupation,” said Majdalani. Majdalani demanded that the Secretary General clarifies his statements, given that it goes against all international effort and grants Israel the green light to move towards Jerusalem. “The U.N. must fulfill its moral and legal obligations towards people of Palestine still under occupation, and to support initiatives on resolving the Palestine cause—ducking responsibility makes the international body useless, becoming a burden to the international committee,” Majdalani said. Guterres served as Prime Minister of Portugal from 1995 to 2002, and was the Secretary-General of the Socialist Party from 1992 to 2002. He also served as President of Socialist International from 1999 to 2005. In 2012, Guterres appointed American actress Angelina Jolie as his Special Envoy to represent UNHCR Refugee Agency‎ and himself on a diplomatic level.